Capt. Rick & Cindy Lou are both are dedicated to making every guest aboard the Tortuga not only feel special but to have an experience that will create fond memories to last a lifetime. Come aboard and see what it's like to sail the seas and how guest become good friends. Capt. Rick and Cindy Lou teamed up in 2012 combining over 20 years of sailing experience and began charters aboard the Tortuga. True optimistic adventurists, these Key West locals are ready to guide you through your next adventure bringing with them the experience, skills, strength and wisdom that can put you at ease. Enjoy the S/V Tortuga Log for continuous updates on guest visits and our adventures in the surrounding waters and islands of the Florida Keys. Yes, this is his REAL name! Captain Rick lives full time aboard S/V Tortuga. In addition to manning the helm on the charters, he leads the daily operations and maintenance of the yacht. While out to sea, he can tell of his adventures from sailing through the Mediterranean Sea to the blue waters of the West Indies. With a strong local presence in Key West, he stands out amongst his peers for not only exemplary upkeep of his gorgeous yacht, but also his ability to be a trustworthy captain and a gracious host under all conditions. Capt. Rick will pilot the yacht and maintain all onboard systems while at sea. He is the one who typically loads everyone up in the dinghy for a run about or a trip to some uninhabited island. He is a fun-loving guy, never dull and is a major contributor to our guests adventures around and under every wave. Cindy Lou Thor (also her REAL name) is the other half of the Tortuga team. She wears a few hats too. When Capt LouLou isn't aboard Tortuga, there is a good chance she will be found at our land-based office in town tending to the accounting, marketing/PR, digital media management as well reservations. When at sea, she'll likely be the first in the water and last to get out (she really wants gills!). She'll lead the way in any adventures or water sports including snorkeling, spear fishing or lobster hunting. Miranda has been a part of the crew since 2017 and brings a graciousness and gentleness that appeals to all our guests...even the wild seabirds feel comfortable enough to make her limbs their favorite perch. You'll find she is an excellent able body sea-women who is continuously learning her way towards big things. Danica has the natural ability to know what to do in nearly any situation. She also has a mindset to encourage guests to make the most of their adventure while keeping safety in the forefront - something that we are very fond of. The crew will provide an introduction to the boat, our amenities and safety facts and review your interests so we know what our goals will be for the day. Since this is a private trip with only you and your party, we can modify the itinerary as we go. Weather and water conditions may have a factor on where we go, what we do and which boat will ultimately be best for you. We expect you may want to sit back, relax as we exit Stock Island Marina Village and depending on how early you board, we may serve you a light breakfast as we head out the channel. We'll be out in the Atlantic ocean in a short time and regardless of being a novice sailor or a master at sea, you'll be welcomed to help the crew set the sails or "man the helm". Often, guests will see dolphins, turtles and a variety of seabirds while we are out. These are great opportunities to snap some cool photos or you can use our handy binoculars for those far away views. The crew will be taking snapshots and possibly videos throughout your time with us, both on the vessel, in the water and while out on any land excursions. This keeps you hands-free, hassle-free and provides you and our social media with plenty of new material. When we get to our destination, be it a reef, wreck, sandbar or some other point of interest, the crew will be fast at work setting the anchor and getting equipment ready for you. Whatever the activity, we're happy to show you some basics. 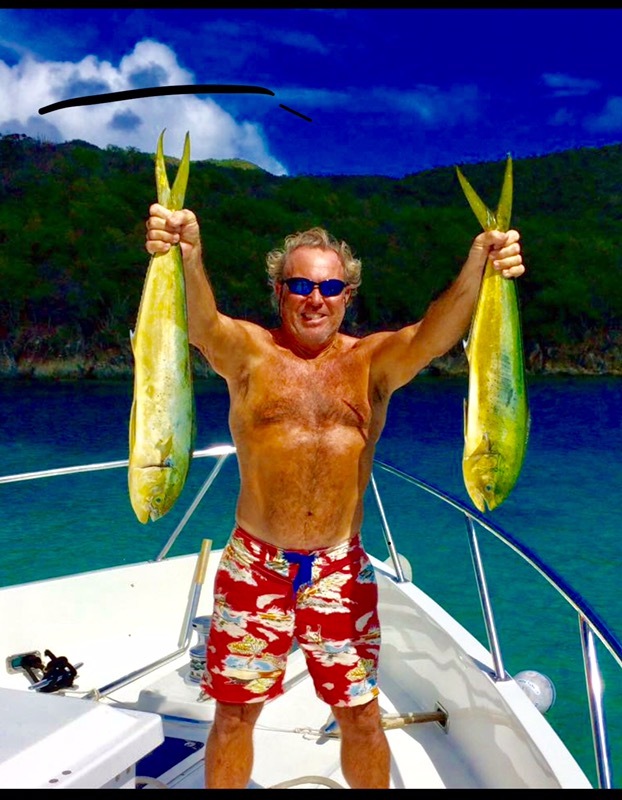 If your after some big game, we'll bring out the gear for trolling and maybe get in a little lobstering if we're in season...Mahi-Mahi, Wahoo, Tuna, Grouper and Snapper are all found here in the Keys. The crew can slide in the water with snorkelers, free divers and for spearfishing. This gives you a chance to have on-on-one assistance if needed. If you and your partner are off in a blaze of glory, we'll try to keep up with you to point out some things you may miss and maybe get a few really cool photos with you in them to take home as prized memories. When you are thirsty, tired or hungry, climb back aboard. We'll have some creature comforts ready for you. If you feel a bit water-logged or salty after your ocean dip, no worries, the freshwater shower will keep you feeling comfortable and clean. When our time is coming to an end, the crew will weigh anchor to head back to port. We expect you'll be sharing stories of your new underwater friends (or found foods) and all the amazing sights you saw. Take this time to also replenishing your energy. We'll have the cooler filled with plenty of beverages and snacks right in the cockpit. On the 42' Manta Catamaran: While underway, you can expect to move about freely. Our catamaran sails smoother than a monohull and that ominous boat rocking rarely happens. The trampolines on the bow provide an advantage point for spotting dolphins and turtles and a great location for working on your tan. If your sun shy, there is plenty of seating in the shady cockpit and we can even hitch up a hammock for a nap under the hard Bimini top. Many a guest find the sling chair to be the best advantage point with it's fantastic views, shady location and you can usually get a cool breeze right off the water. What we feed you: We've never been accused of letting anyone leave hungry. In fact, we are striving hard to ensure we fill you up with only the freshest, healthiest foods we can find and we're proud to serve our homegrown herbs, veggies & fruit (yes, our own garden on land!). We place emphasis on all ORGANIC, NON-GMO FOODS. This includes our meals and snacks. We'll provide non-alcoholic beverages, sparkling & bottled water. Your welcome to bring your own "grown-up beverages too. Luncheon platters, fresh fruit and small plate appetizer may be served throughout your trip. We customise our meals for the time of day, your health and diet restrictions, so just let us know if there is something that you can't eat and we'll plan the rest.